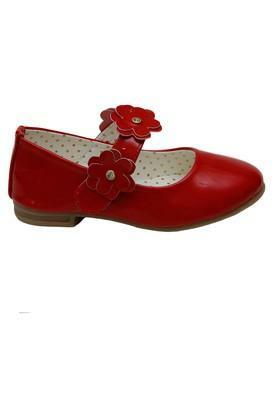 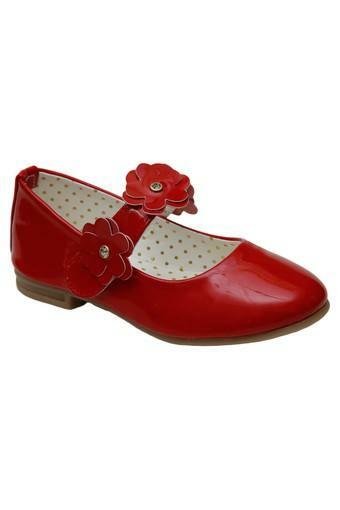 Let your daughter put her best foot forward in this pair of ballerinas from D'Chica. 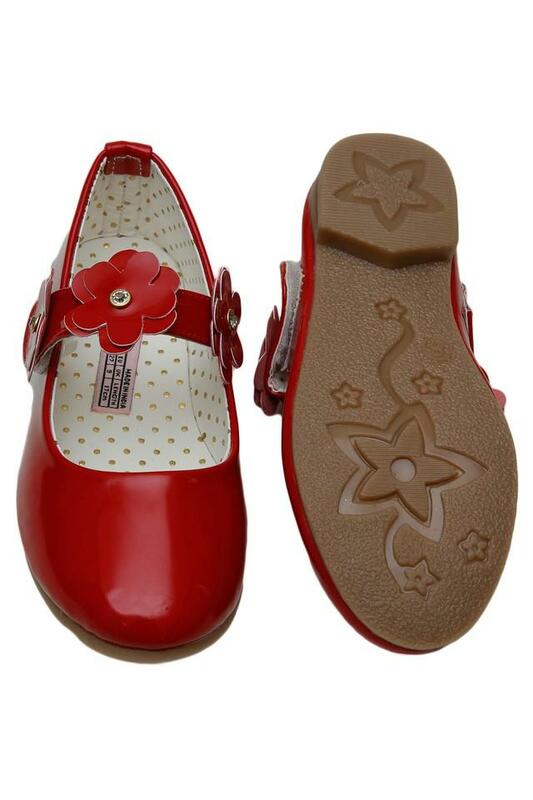 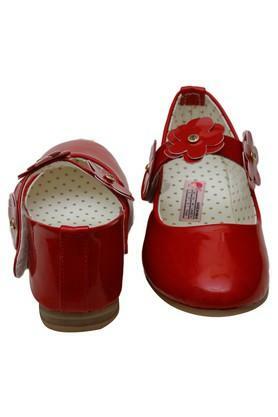 It comes with a soft footbed that will keep her feet at ease all through the day. Besides, its upper part has been crafted with care using patent leather that lends it a nice finish and promises an easy maintenance. Bring a cute smile on the face of your little girl with this pair of ballerinas that features a leather corsage detailing at the strap. 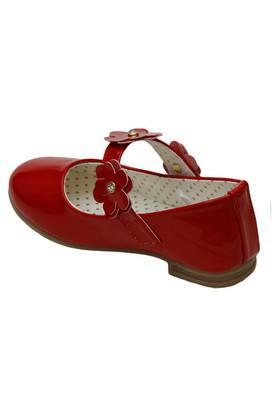 Let her wear it with a dress to look adorable.